Before giants like Uber and Airbnb disrupted the taxi and travel industries, Facebook and Netflix were shaking up the media, TV and film landscape. It’s hard to imagine a world without these players who have now become ubiquitous with digital disruption. Change is occurring in the outdoor design industry too. 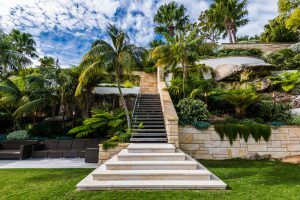 With the fast-growing appetite to create indoor/outdoor living spaces, landscapers and designers are being asked to do more than just design and construct these areas, but to complete these projects with furniture and accessories that bring these spaces to life. Outdoor Designer Store is an industry-first platform connecting a diverse pool of talented manufacturers and suppliers to designers and their clients. Never has such a wide range of bespoke luxury products been this accessible to industry professionals. Outdoor design is more popular today than ever. Research shows that the number of Australian homeowners planning to make improvements or undertake new projects in their outdoor spaces has increased by over 50% in the last few years. 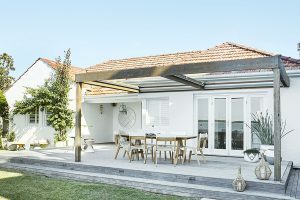 This significant increase in homeowners wanting to transform their outdoor space equates to an exciting time for outdoor design, and the craze is not just limited to homeowners with large backyards; renters and apartment owners alike are looking to maximise their balconies, laneways and entryways. With this increase in demand, landscapers are looking for ways to streamline their design process and connect their customers with quality products. So just as other markets have undergone a digital revolution, the outdoor design world is about to get involved in the online movement. The industry needs a boost to keep up with demand and Outdoor Designer Store delivers a fresh alternative. The founder of Outdoor Designer Store, Nicholas Hadji, saw a gap in the market – a need to connect designers, suppliers and consumers. Having gone through an outdoor design project for his own backyard, Nicholas noticed a fragmented supplier network within the industry, and difficulty in discovering bespoke luxury outdoor products for his project. “Master landscapers do so much more than put a bit of grass in your backyard. They’re designers, savvy outdoor furniture connoisseurs and experts in maximizing your space. 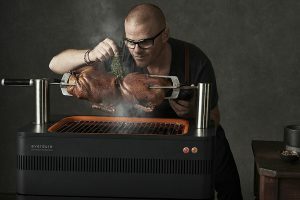 When I realised there was no central system that made it easy to connect quality suppliers to outdoor designers and consumers, I decided to do something about it,” says Nicholas. With a background in marketing, retail and brand creation, he channeled his experience into creating Outdoor Designer Store. For those looking for luxury handcrafted products, the platform provides a unique and high quality selection of artisans that were previously hard to find. The platform fundamentally changes the way designers, suppliers and consumers interact, making outdoor design projects more efficient. Access to a range of products and valuable tools that facilitate seamless transactions means designers are able to keep up with growing demand, and begin to see a shift in how their projects flow from beginning to end. Time saving tools include interactive digital worksheets that allow consumers to add and approve items, as well as a mood board that enables designers to easily put together and share ideas. Designers are able to add to their existing network of suppliers, gaining exposure to products that were previously not a part of their network, and consumers now have access via their designer to include a wider range of luxury products in their landscaping projects. “It’s fantastic for managing accessories and extremely simple to understand. What I love about the platform is the ability to communicate with clients and make payments,” says Ben Miura, Horticulturalist and Senior Designer of Landsberg Gardens. With new suppliers joining every month and an innovative new way of doing business, it’s easy to see how Outdoor Designer Store is shifting the outdoor design industry.